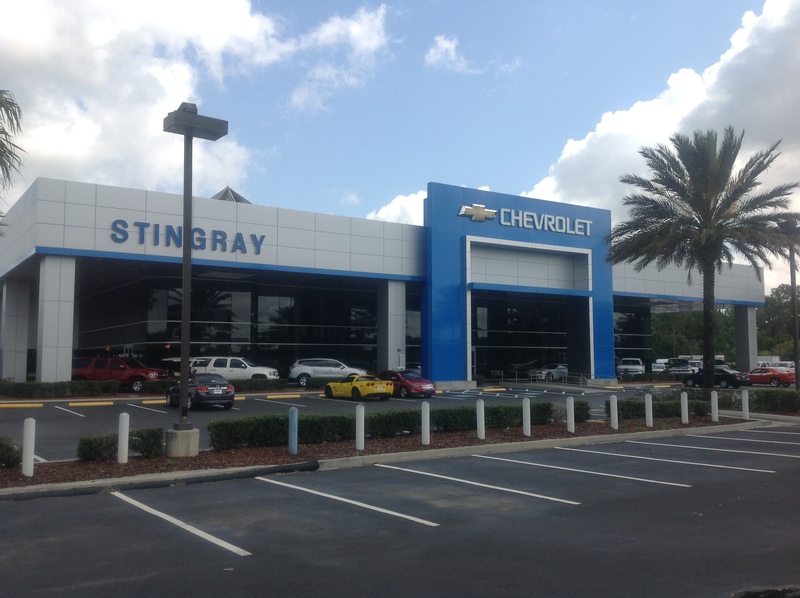 Stingray Chevrolet | WMB-ROI, Inc.
Stingray Chevrolet selected WMB-ROI to design and deliver their Plant City location, with emphasis placed on meeting the stringent Chevrolet branding standards. 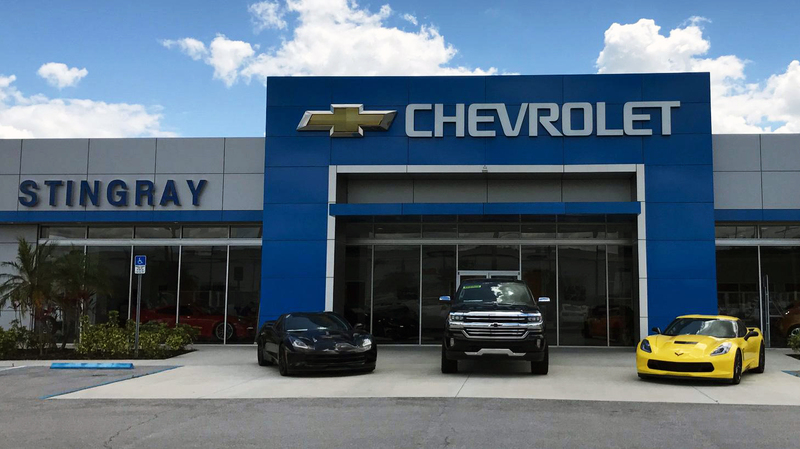 WMB-ROI managed the project from schematics through post occupancy, implementing a phased construction that saw the service department remain fully operational while the sales floor and offices were being constructed. Using a detailed style guide as the template, WMB-ROI designed the main entry features, a 17,000 S.F. 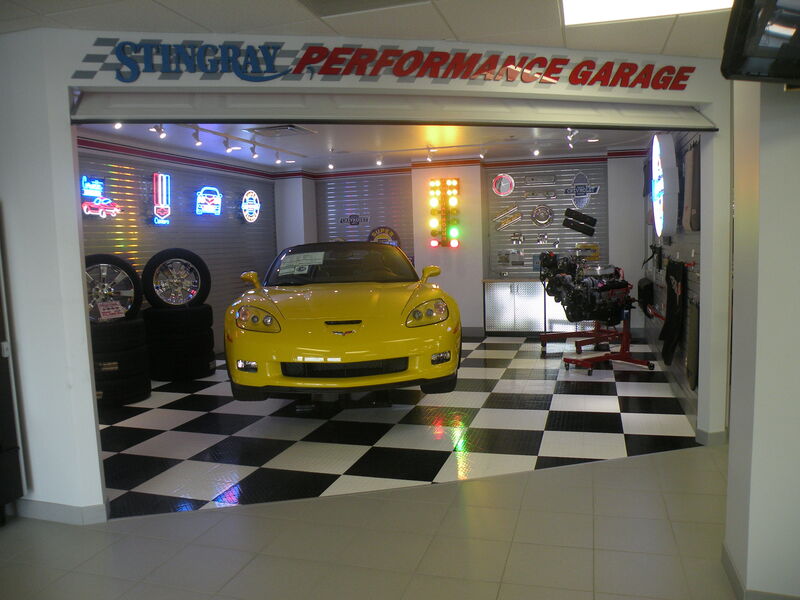 showroom, a 7,500 S.F. service/waiting area, and auxiliary support spaces. 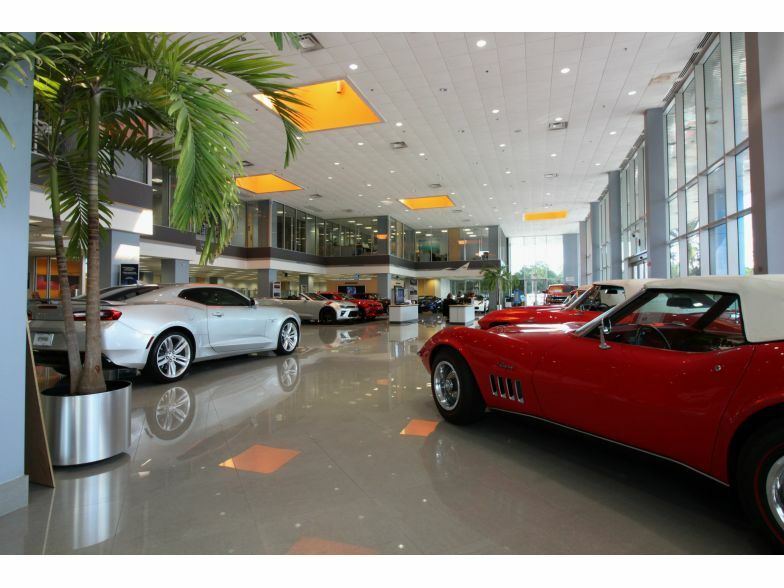 Careful consideration was given to maintain the architectural standards established by Gensler / Chevrolet Corporate Headquarters to reinforce consistent branding elements.